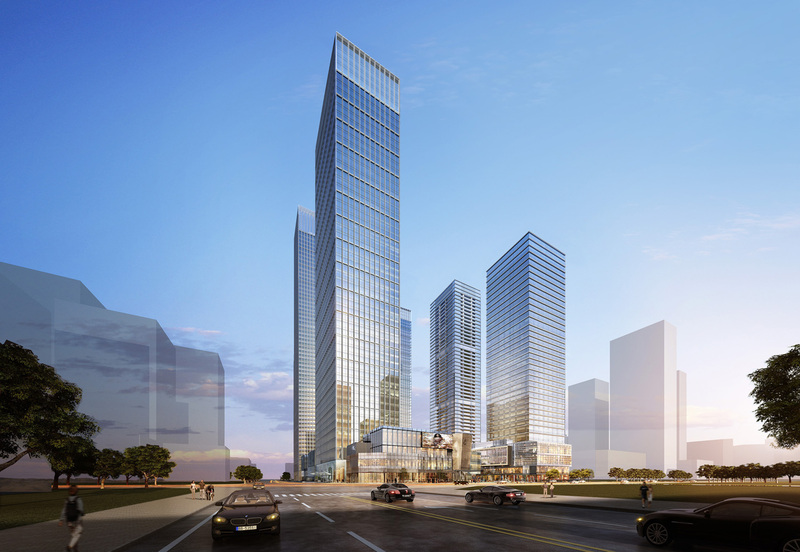 Goettsch Partners landed its largest project in China, a cluster of five towers on 15 acres in Shenzhen’s Qianhai district. 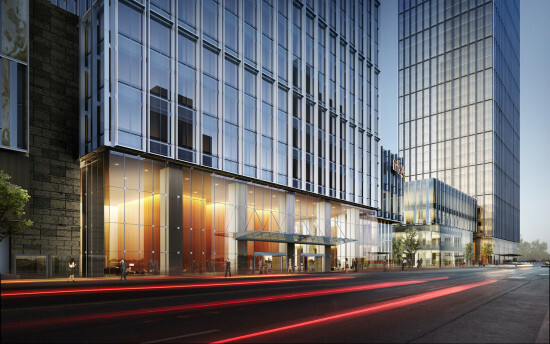 China Resources Land Limited (CR Land) hired the Chicago-based Goettsch to design 5.4 million square feet of space for offices, apartments, a five-star hotel, and retail. 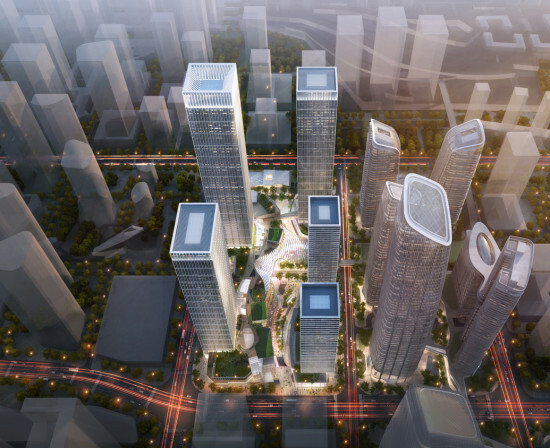 U.K.–based Benoy is the masterplanner, and is designing a shopping mall and retail areas at the towers’ base. CR Land and Goettsch have worked together before, including on two hotel towers at Shenzhen Bay. 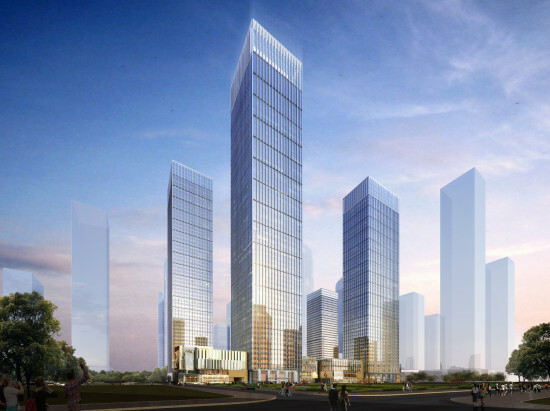 Shenzhen’s Qianhai district is in a “special economic zone” targeted for development by the Chinese government, which envisions the 5.8-square-mile area as the “Manhattan of the Pearl River Delta.” Goettsch’s towers will rise in “Neighborhood 2,” the most recent Qianhai parcel to host development that Chinese authorities say will total $45 billion by the conclusion of the area’s overhaul. Their announcement has spurred a small frenzy of building and land speculation, attracting billions of dollars of investment from real estate developers in this boom town about an hour from Hong Kong. Goettsch’s design plays off the blue glass of nearby buildings with a metallic-painted aluminum frame, using horizontal fins on the hotel and apartment towers to differentiate them subtly. As with many such megablock developments in China, ground-level shopping and pedestrian paths will link the five towers. Since it was designated a special economic zone in the late 1970s, Shenzhen has seen its population balloon from 30,000 to more than 8 million. Its reputation as China’s “instant city” has brought an influx of foreign investment, but it also speaks of the city’s struggles with pollution and dangerous working conditions. Perhaps best known in the West for making Apple products, Shenzhen is a manufacturing hub that has been called “China’s Silicon Valley.” In the wake of a “suicide crisis” at Foxconn, the Taiwanese manufacturer in charge of Shenzhen’s most notorious Apple factories, the company moved most of their jobs north to Zhengzhou.